I am well aware of the fact that the human race has known about the existence of a universal energy related to life for many ages. However, the basic task of natural science consisted of making this energy usable. This is the sole difference between my work and all preceding knowledge.” — Wilhelm Reich, Archives of the Orgone Institute. Orgonite is a mixture of catalyzed fiberglass resin with metal shavings, particles or powders, poured into molds. It is said to attract etheric energy similarly to Reich’s accumulators. Some people also add a couple of crystals to the mixture for their ability to make the energy more coherent or to enhance the working the the orgonite. Thus orgonite basically is a substance which functions as a self-driven, continuously-operating, highly efficient energy transmutation device, drawing in negative life energy and transmuting it into positive energy. The resin in orgonite shrinks during the curing process, permanently squeezing the quartz crystal inside which creates a well-known piezoelectric effect inside the crystal, meaning its end-points become polarized electrically, this apparently causes it to function more effectively as a positive energy generator. Although crystals improve the function of orgonite, they are not necessary for the orgonite to work. Having an orgonite piece on you is like having an energy transformer in your energy field. It will clean up stuck or armored energy structures in your energy field. Of course, how much it will be effective also depends how old and strong the armored energy structures are. Orgonite can be effective immediately or it might take a long time. But it is always working. It is also good when you are in an environment that emits a lot of negative energies, like being around people who don’t like you, or have negative emotions towards you; or in an office building where the work atmosphere is often rigid, and where there are a lot of technological devices emitting harmful energies. The structure of orgonite attracts energy into it. That is to gather energy and that the structure does by itself. Pollution, greed, ignorance is degrading our planet. Our bodies and mind have to deal with negative energy every day. Orgonite will also remove negative entities from a house. Negative entities are often characterized by their tendencies of imposing their will upon the living, for example out of anger, or by wanting to control the occupants of the house, and often they feed of the life force of the living. They are all traits of restricted, armored energy present in these entities themselves. Neutralizes harmful effects of ELF & EMF radiation. Promotes dreams /lucid dreams/ Out of Body experience. The health of all living things in the area begins to return to good health. When you use the orgone energy field, as it is designed, it will energize you with a high level of energy channeled to you by your etheric friends, or higher self. When you use orgone devices, some will experience seeing different colors, see visions, feel tingling, heat or coldness or both at the same time or all of the above. 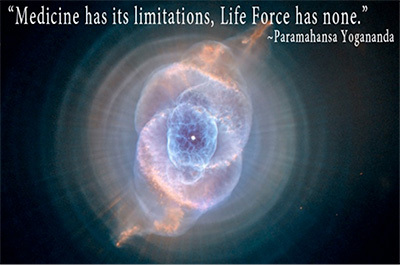 What you experience will be determined by your spiritual evolvement. All will be different. You may experience light headedness or dizziness or a little wobbly when you get up this will pass with no side effects. This produces a very high level of energy. 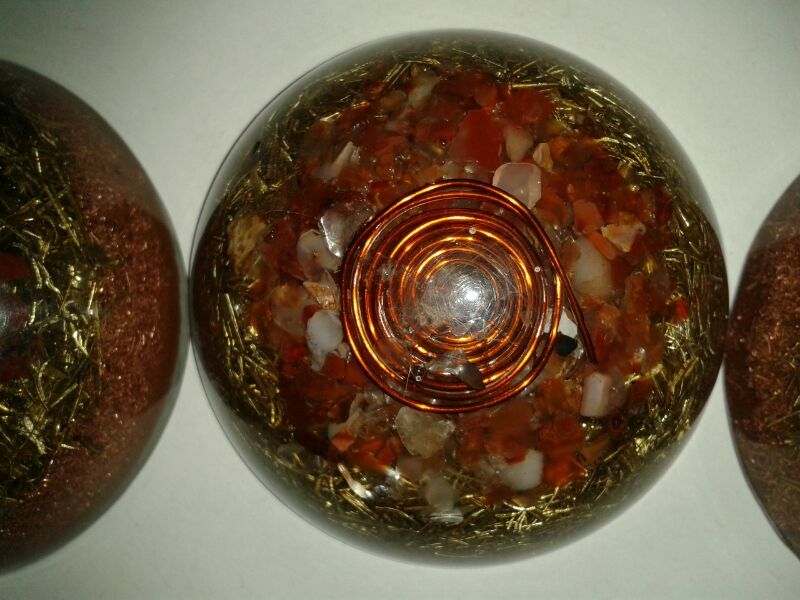 The smaller Orgone domes can be used for healing the chakras, by keeping them on each chakra for about fifteen minutes. 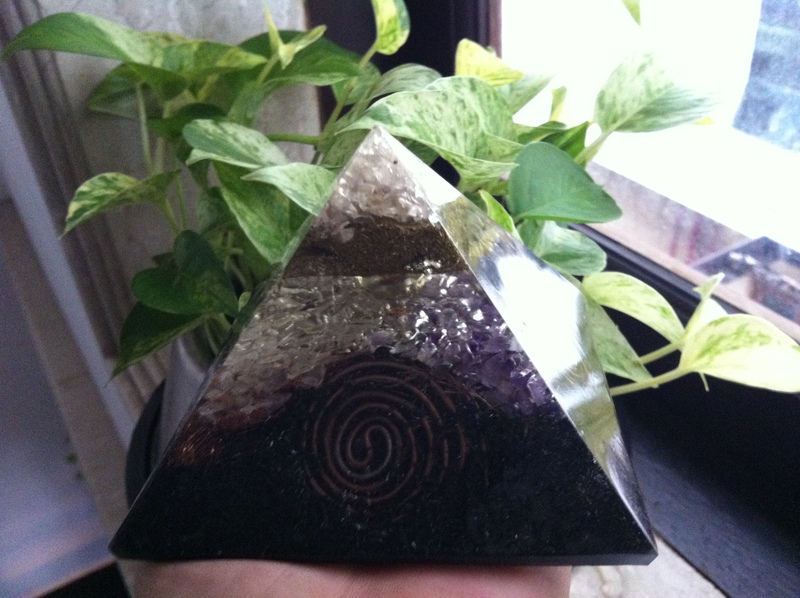 Orgone is known to have it’s own consciousness. Since orgonite turns stagnant and negative energy into positive, healthy energy, surrounding ourselves with healing orgonite can help us get rid of energy blockages. Keeping an orgonite in our vicinity will help dissolve energy blockages. Many people feel increased happiness after being introduced to orgonite – this is a sign of a healthier internal energy flow. One of my favourite methods which I use in my healing sessions for this is using chakra healing set on a client in order to balance and cleanse the chakras.This method has been very powerful for some of my clients who have reported instant boost of energy or a feeling of something heavy being pulled out of a particular chakra that is the heavy energy. One client had a strong emotional release post the session, she felt feeling lighter, and energetic, as if a huge weight had lifted off her chest. In addition I also keep a orgonite pyramid next to my healing table or under it. Chakras are the main energy vortexes in our bodies. If you think about it, you will mainly feel negative emotions in your chakras – painful feelings in your chest when you are heartbroken or disappointed, churning feelings in your stomach when you are worried, tight feelings in your throat when we feel intimidated, etc. 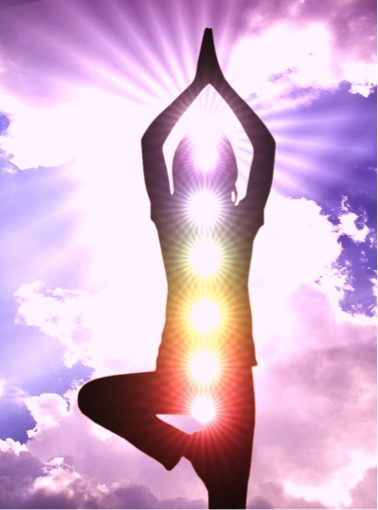 When we work on our chakras, we in turn affect the energy in our whole bodies, and we see huge changes in our lives. You will feel calmer, stronger, more grounded, and this will in turn affect what manifests in your life. Animals are an excellent indication of the effects of Orgone in the environment. They don’t think or analyze, they go with the flow of things. Animals know when violent storms are approaching, they flee areas when Tsunamis are about to happen and they act instinctively to protect themselves from dangers that are sensed. When given a choice animals refuse to eat GM food. Animals sense energy in balance and will instinctively avoid energy that is out of balance. Animals appear to be attracted to Orgone. Dolphins have been reported to carry Orgone off into the sea. They sense where it is in the water and then collect it and carry it off into the depths. It seems that animals have a natural affinity with Orgone, or rather the life force energy that Orgone gives off. We hear many frequent stories of how Orgone has been influencing wild animals. People have reported that after using Micro Orgone around the boundaries of their land, deer have suddenly appeared out of the woods and walked those boundaries, lingering in full sight. They are probably glad they don’t have bears in there. Others have reported that they have had a massive increase in birds to their bird tables and nesting boxes after placing Orgone pieces in their gardens and some that bees have swarmed in their trees. There are many times that birds come and sit on freshly made Orgone pieces when they are placed outside. In an uncertain environment full of EMFs, Wi-fi, mobile phones and digital signals etc it is no wonder that the life force of Orgone is making a noticeable difference to animals. They, like us, function on their intuitive senses. We may not use our intuitive senses as much as animals because we have the ability to reason and think ourselves out of responding to our gut reactions. They don’t. They respond in the moment and are completely in the now. Pets too respond very well to Orgone. One dog in a treatment centre went into the corner of the room behind furniture and brought out an Orgone sphere. It chose the treatment it wanted. 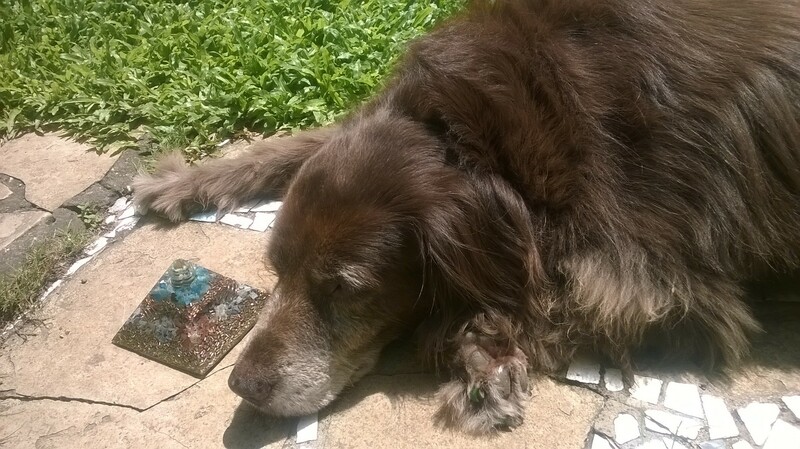 Orgone was not a treatment choice at the time but the dog knew what it wanted and needed. Other pets have been reported to choose a particular chair or bed to sleep on because of the Orgone placed under it. Fish have been known to gather on the side of the fish tank that has Orgone placed under it (never in it) and will move when the Orgone is moved around. During my healing sessions I place orgonites around the healing area, and animals usually go and rest next to an orgonite.They instinctively recognize the healing energies and just allow the frequencies to heal them and boost their immune system. Animals don’t choose to live in an energy soup of EMFs. We choose it for them..perhaps we could learn a lot from observing nature.